"She says flat-out that she doesn't trust Hillary Clinton on addressing climate change." "In working with Klein, the Vatican clearly knew it could harness loyalists of one of the most influential voices in the climate movement." "This odd couple of a gel-haired union heavyweight and an anti-capitalist oracle in sensible shoes is no accident." "Inspired by Naomi Klein’s book, activists, politicians and journalists came together to debate the future of the environmental movement." 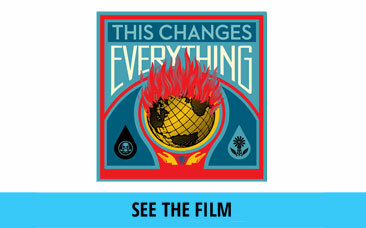 "...a deeply insightful and unflinching look at the global threats posed by climate change, environmental devastation, and economic injustice." "The most important book I’ve read all year – perhaps in a decade." "The book is a warning. It has to be heeded." "Arguably the year's most important book." "The most momentous and contentious environmental book since 'Silent Spring.'" "Searing, encyclopedic, and radical....rather than enumerating our doubts, we should try to prove [Klein] right." "The distinctiveness of the book resides...in Klein’s sheer outspokenness." NYT: If you could require the president to read one book, what would it be? 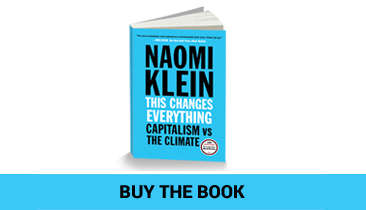 MD: “This Changes Everything: Capitalism vs. the Climate,” by Naomi Klein. "[Klein] is no mere polemicist or propagandist. She is a force of nature."